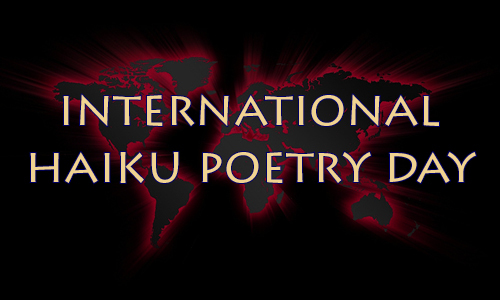 International Haiku Poetry Day — It’s Here! You are here: Home / EarthRise Rolling Haiku Collaboration / International Haiku Poetry Day — It’s Here! 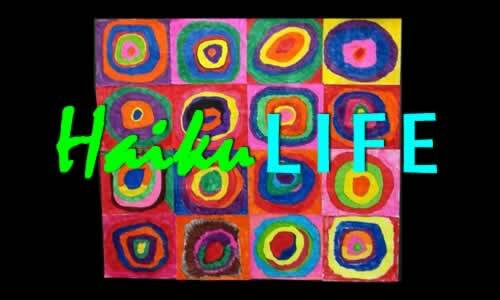 Watch all the films from our inaugural HaikuLife Haiku Film Festival. 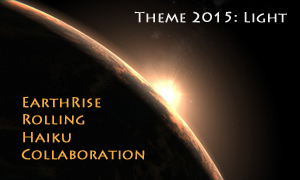 Participate in our inaugural EarthRise Rolling Haiku Collaboration. the first three consecutive Fridays in April. On the 17th, participants will take a ginko walk and hang weathergrams. The library is located at 915 Monroe Street, Huntsville, AL. Celebrate and explore haiku, a traditional Japanese form of poetry with its luminous focus on nature. Haiku poet Jeff Hoagland will provide a brief overview of the haiku tradition before facilitating a ginko or haiku walk on the Watershed Nature Reserve. Adults and teens are welcome regardless of experience! Enjoy the emergence of spring, crafting your own haiku from observations on the trail. Bring a writer’s journal and dress for springtime trail conditions – possibly wet or muddy. Also bring a favorite haiku book and/or journal to share on the haiku table, and a haiku to share as a warm-up. Light refreshments provided. Please RSVP in advance – for more information or to register, please call (609) 737-7592. This event is co-sponsored by the host, the Stony Brook-Millstone Watershed Association. The Southern California Haiku Study Group has several events planned. First, members of the group will be reading their haiku at a Haiku Station at “The Garden of Verses” at the Rancho Santa Ana Botanic Garden on Saturday, April 11, from 10 am to 3 pm. Featured readers include Don Baird, Peggy Castro, Marcyn Del Clements, William Hart, Mariko Kitakubo, Deborah P Kolodji, Gregory Longenecker, Genie Nakano, Victor Ortiz, and Susan Rogers. The garden is located at 1500 North College Avenue, Claremont, CA. On Friday, Cal Tech Poetry will feature haiku in honor of International Haiku Poetry Day with a celebration afterwards. On Saturday, April 18, the group has its monthly workshop at the USC Pacific Asia Museum, from 2-4 p.m. with a celebratory dinner afterwards. All are welcome. The museum is located at 46 N. Los Robles Ave, Pasadena, CA. 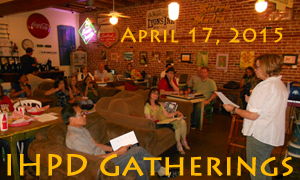 International Haiku Poetry Day 2015 will be celebrated in Mineral Point, WI with a HAIKU reading on April 17th, at The Foundry Books, 105 Commerce Street in Mineral Point. The reading begins at 7:00 PM. Featured readers will be Francine Banwarth of Dubuque, IA, who is the editor of Frogpond, the journal of the Haiku Society of America; Bill Pauly of Dubuque, IA, who taught for many years at Loras College and studied under Raymond Roseliep; Charlie Baker of Mineral Point, a haiku poet who combines his etchings and engravings with his haiku (haiga); Melissa Allen of Madison, WI, who is an accomplished poet and recent editor of Haibun Today; and Shan Thomas of Mineral Point, a newcomer to haiku. Other poets are encouraged to bring haiku to read. Each poet can bring five to seven haiku to read. Beginning haiku poets are encouraged to come and read, listen and learn about haiku. The Haiku Poets of Northern California are hosting their spring meeting on April 19, at Fort Mason in San Francisco, from 1 to 5 pm in Building C. The featured reader is Johnnie Johnson Hafernik, and Cherie Hunter Day will offer a presentation and workshop on “one-line haiku”. “Shining Wind: Forty Years of English Haiku” April 5-19. Sat-Sun, 12-4 PM. Japanese American Museum San Jose, 535 Fifth Street, San Jose, CA. On April 17, 2015, Shreve Memorial Library’s Broadmoor Branch, 1212 Captain Shreve Drive, will be celebrating “International Haiku Poetry Day” from 3:30 – 6:00 p.m. in Study Room A. The reading will feature members of the Northwest Louisiana Haiku Society, a co-sponsor along with the library and The Haiku Foundation. The event is free and open to the public. Participants are encouraged to read up to five haiku. A haiku critique will be available if you wish to have your poems evaluated. For more information or to sign up to read, contact Carlos Colón at 868-8932 or 678-3889. Haiku Arbutus from Victoria, BC is busy preparing for the Haiku Canada conference, May 15th to 17th at the James Bay New Horizons Community Centre, 234 Menzies Street, Victoria, B.C.